The march of relentless cut price deals forges ahead with yet another limited time sale on the European PS Store. This one puts the focus on some of PS4's larger titles, and some of the offers included here are pretty tempting. 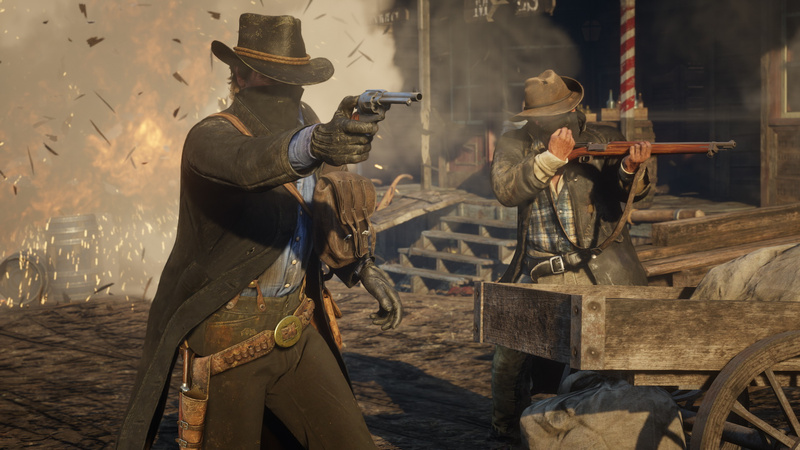 Red Dead Redemption 2 is a third off at £39.99, Just Cause 4 is going for £36.99, and Shadow of the Tomb Raider is down to just £27.99. There's plenty more to see, though -- Spyro: Reignited Trilogy, Yakuza 6, and Diablo III have all had their prices slashed. The discounts only apply until 20th February, so check out the full list if you're looking for a bargain. See anything you like? Let us know what you're buying in the comments below. @suikoden Yep, it's a European Store sale. Not sure why the links would take you to the US Store! I wish I heard this advice, before I spent my money and endless hours of boring game time: Red Dead Redemption 2 is overrated. The game is really clunky, slow and monotonous. Basically, is 95% horse riding and cutscenes. GTA V has way better story than this. I was thinking about getting AC Odyssey, FIFA 19 or MHW but they have all of them in Deluxe prices, so i'll pass. @markkoo I love both GTAV and RDR2 but you lie, the latter's story is better than the former. RDR's stories have always been more serious than GTA, fact. It was the best story of 2018, I don't see how people even brought GOW with about 5 characters as a contender for good story. I don't get why digital prices are so high. You'd think physical copies would cost more to manufacture, distribute, sell - so forcing prices up to assure profit margins. Can someone explain? @nathanSF I think Sony etc have an agreement/aren't allowed to undercut stores because the stores would lose out on money and, in turn, so would Sony. That's what I was always told anyway. Yakuza 6 is lowest I've seen it yet at £17.75 with Plus, so will pick that up along with Nex Machina(finally! ), likely also Forgotton Anne and Moonlighter, and possibly Axiom Verge as that's cross-buy. Haha, my PS+ runs out later this month and I'm not renewing it for a good while, so not too bothered anymore if sale stuff I've bought ends up in the next month's free games! Nex machina at £3.99, is an amazing price for a great game.